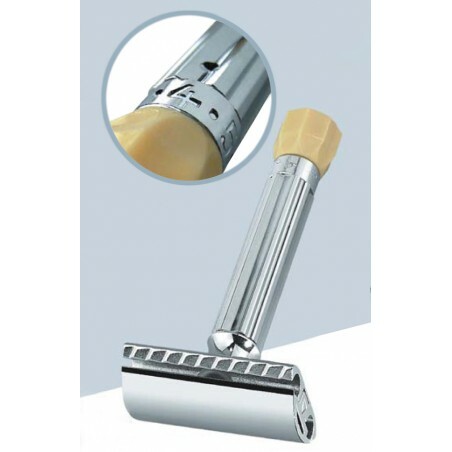 The Merkur Progress Adjustable Safety Razor is a chrome finished 2-piece double edge razor. The peculiarity of this razor is that angle blade can be adjusted by twisting the base of the handle. 5 different positions allow setting an angle blade according to user experience or density of beard. 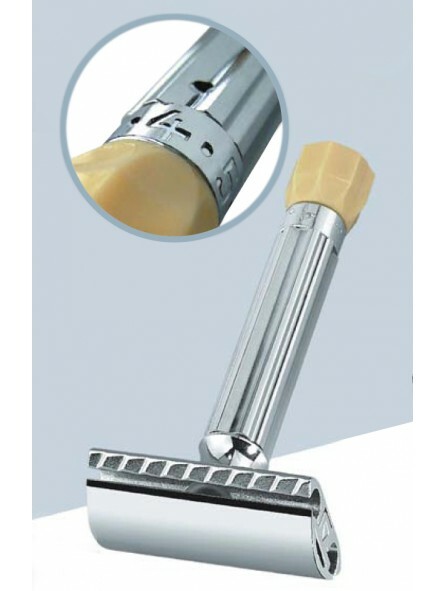 A first class made DE razor offered with an comfortable and easy to hold handle.